This photo was usedby Jonathan Catton in his Down Memory Lane feature in the Thurrock Gazette to publicise the 8th September event at TRAAC. 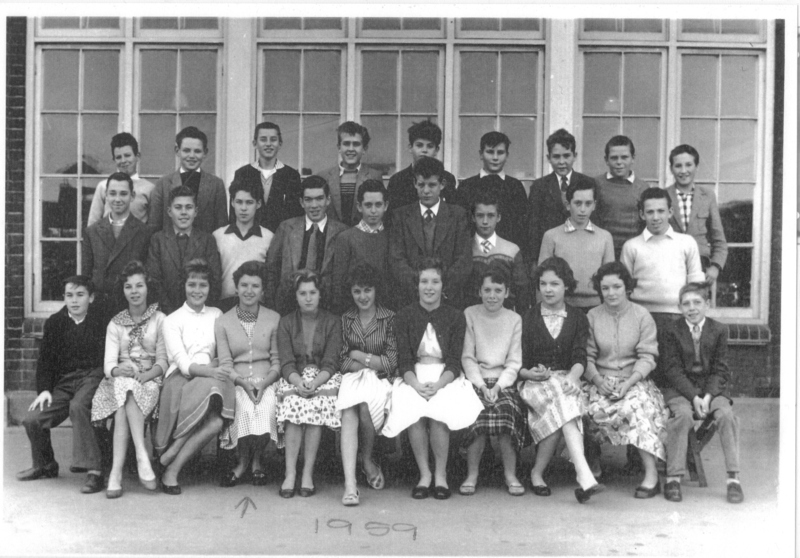 What is the name of the teacher and can you see your self, other family members or characters of Tilbury? 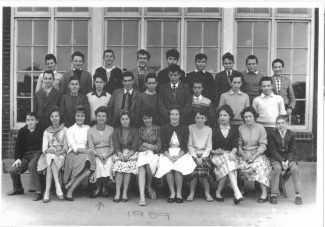 The girl in the middle of the front row, is myself, Maureen Saunders,(5th) next to Iris. Not sure of the class teachers name but Mr Percy springs to mind? Left to right Top row: Roy Bridgehouse, Harold Girt, ?? ?, ?? ?, ?? ?, Terry Dowman, ?? ?, ?? ?, Peter Taylor Middle row: John Mann, Paul Carter, Cliff Cowin, ??? Tony Keeble (Twin), Barry Palmer, ?? ?, Terry Keeble (Twin), John Morris Bottom Row: David Grant, ?? ?, Carol Cox, Valerie Parchment, ?? ?, ?? ?, ?? ?, ?? ?, Caroline Haines, Carol Reynolds, ?? ?